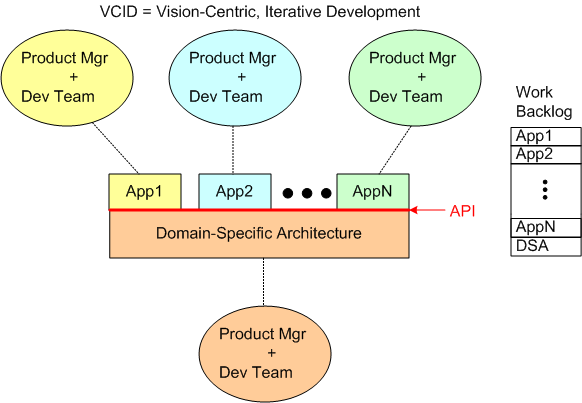 In VCID mode, we iteratively define, at a coarse level of granularity, what the Domain-Specific Architecture (DSA) is and what the revenue-generating portfolio of Apps that we’ll be developing are. In ACID mode, we’ll iteratively define, at at finer level of detail, what each of our Apps will do for our customers and the components that will comprise each App. But STOP! Unlike the previous paragraphs imply, the “CID”s shouldn’t be managed as a sequential, three step, waterfall execution from the abstract world of concepts to the real world of concrete code. If so, your work is perhaps doomed. The CIDs should inform each other. When work in one CID exposes an error(s) in another CID, a transition into the flawed CID state should be executed to repair the error(s). 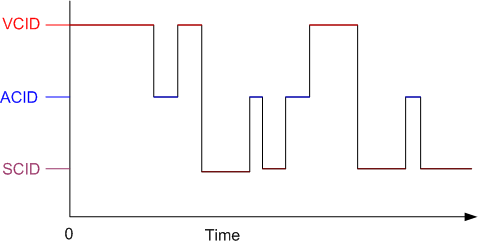 Managed correctly, your product development system becomes a dynamically executing, inter-coupled, set of operating states with error-correcting feedback loops that steer the system toward its goal of providing value to your customers and profits to your coffers.